Construction Industry: Surviving the Recovery! 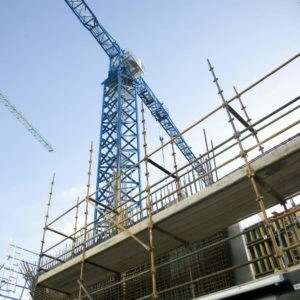 It is important for contractors to ensure they are aware of all changes in the Irish construction industry. On this note, an unfolding series of events is set to provide contractors with a review of pertinent challenges and help them to “Survive the Recovery”. The truth is that the Irish construction industry is fast changing and it is becoming more professional in how it operates its contracts, payments and certification. With increased formalisation of contracts in the industry contractors need to know why it is important to have a contact in place. With the commencement of the Construction Contracts Act for contracts entered into after 25 July, it is critical for companies irrespective of size or sector to know how and when to use the legislation. The Building Control Amendment Regulations are also of huge significance. It is important to know what certification to provide to be aware of responsibilities and liabilities. Form of Subcontract – the importance of having a contract in place. Building Control Amendment Regulations 2014 – Certification. Tullamore Court Hotel, Tullamore. 5-6:30 p.m.
Clayton Hotel, Galway. 8-9:30 a.m.
Sligo Park Hotel, Sligo. 5-6.30 p.m.
Castleknock Hotel, Dublin. 8-9.30 a.m.
For admission it’s 25 euros and you can bring a friend for free. When does time start to run in the case of a construction claim?